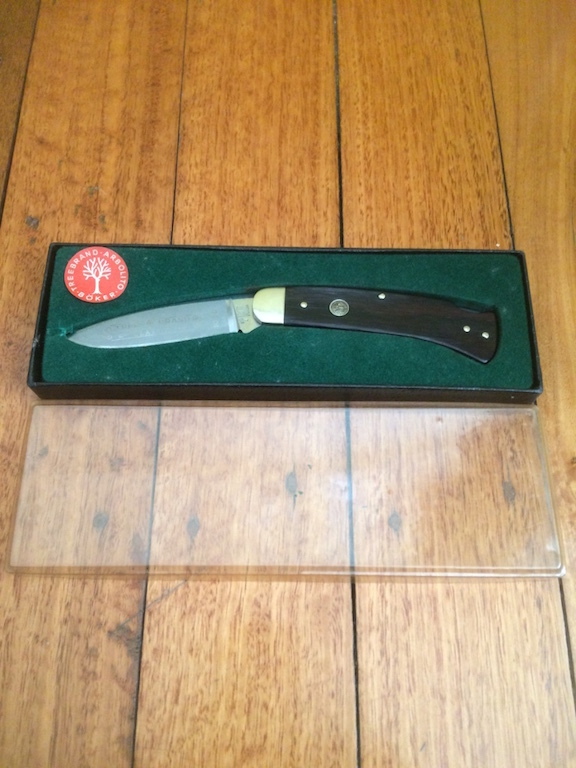 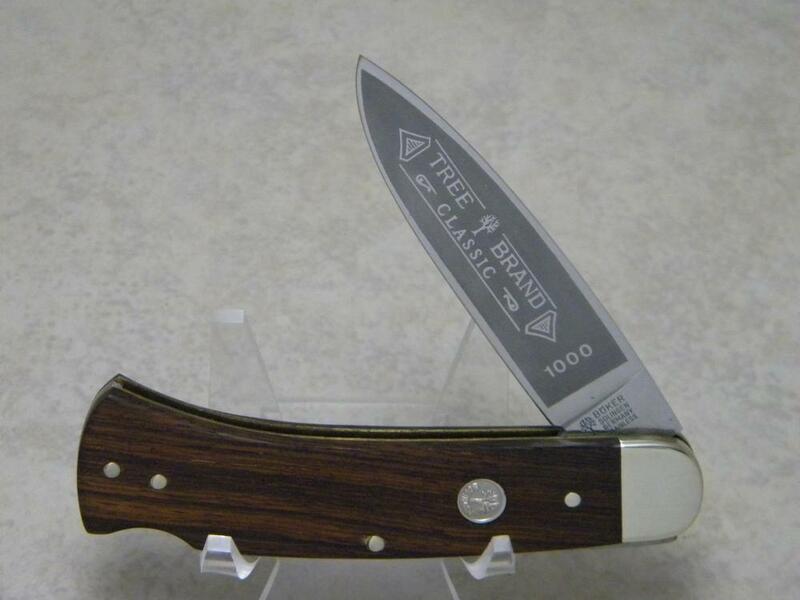 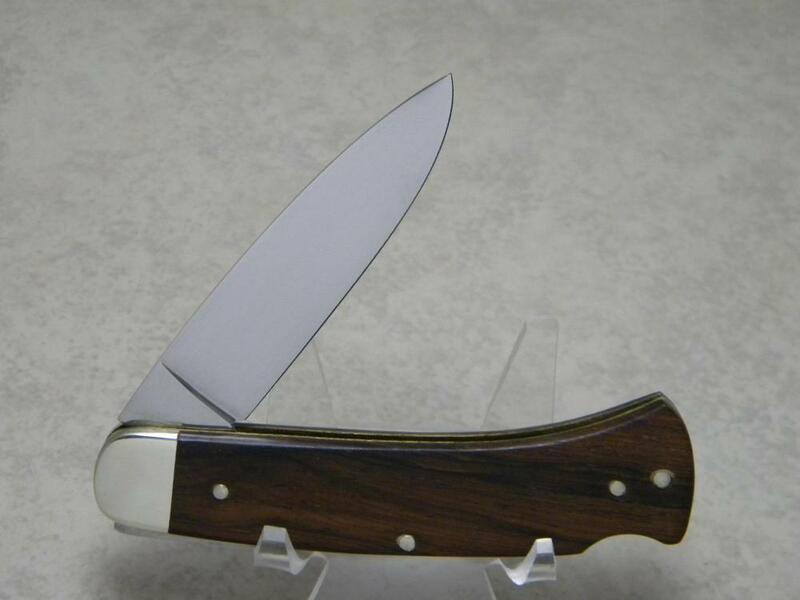 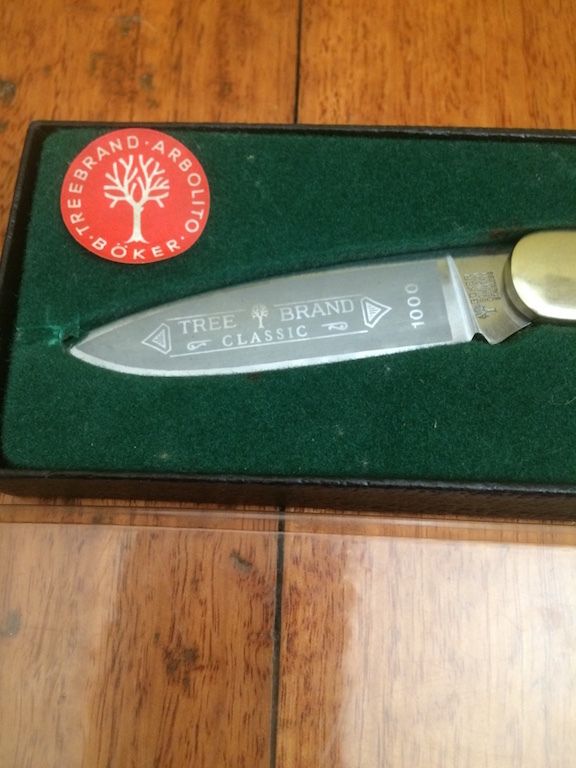 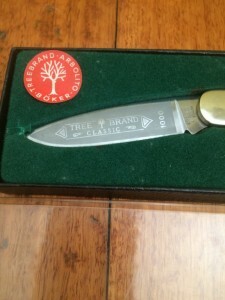 A very rare Boker Tree Brand Classic 1000 lock blade pocket knife with wooden handles and in its original box. Nice Unused Condition - 4 3/8 inches closed. Still has factory edge. 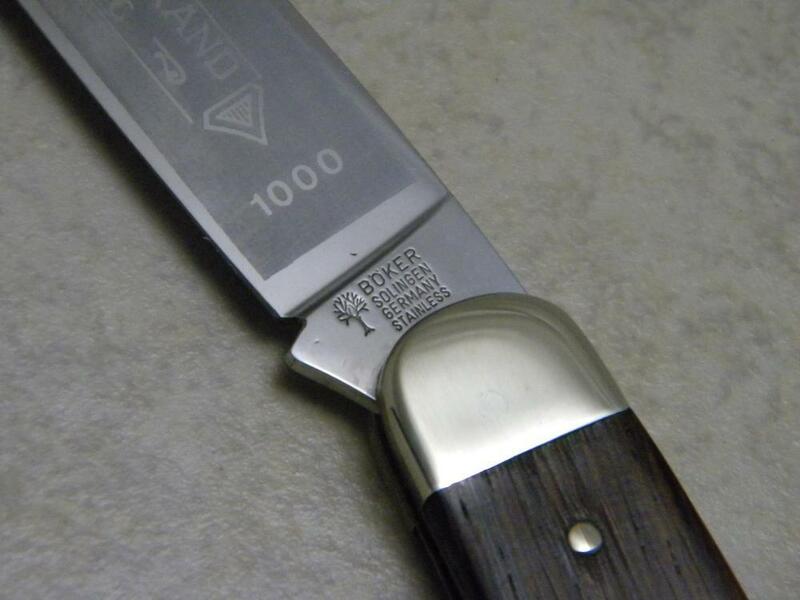 Never sharpened, carried, or cleaned. No chips or cracks in handles. 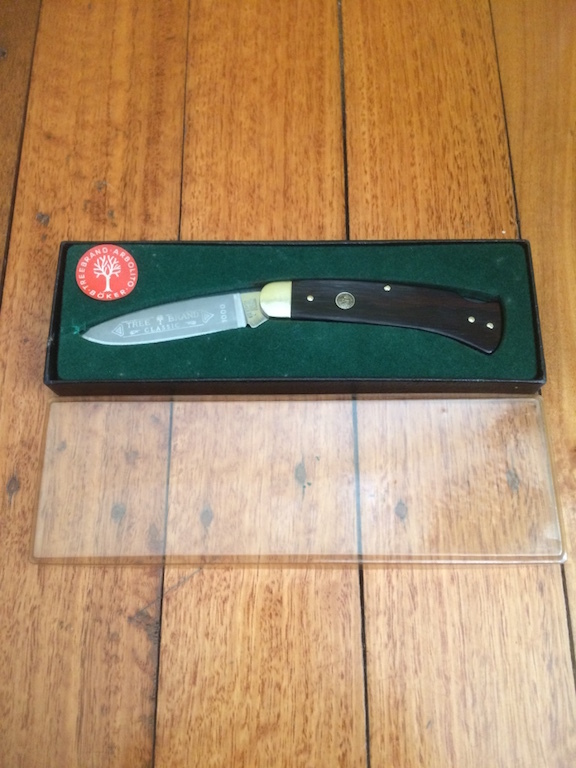 Condition : New in Box. 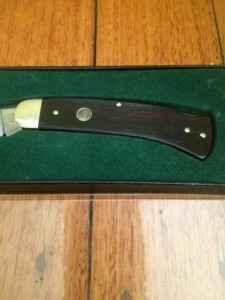 Some slight age marks. 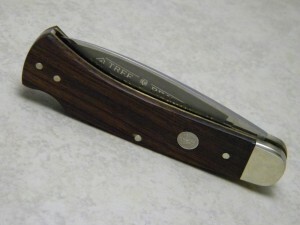 Never Sharpened or Carried.